Mariza performed at the Concertgebouw last week and we happened to be in attendance. That she is a talented Fado singer is something I knew from her recordings. Turns out, she is also an engaging performer. Most of us laughed because we thought it was some kind of practical joke. There were islands of Portuguese speakers in the audience, but by and large, the audience did not know Portuguese. Written down this way, these might not seem like a lot of words. But to sing something quickly after hearing it for the first time in a new language felt like an insurmountable challenge. Mariza divided the hall into five sections and section by section we mastered these lines and eventually sung with her. Her troupe was very talented too. I guess to perform internationally at this level you need to be. Since most of them had their own solo careers, the program for the evening was organised in such a way that the members of the troupe also got to perform their works without Mariza getting all the limelight. Literally so - she’d step off the stage and let the members of the troupe take over! When the concert ended, she thanked everyone involved in producing the show by name - right down to the person controlling the lights on stage and her makeup assistant - a kind gesture one doesn’t encounter often. Usually it’s the diva and the countless, nameless others that work in the shadows. And then came the encores, which went a full fifty minutes over the scheduled time. She joined the audience, sung numbers the audience kept requesting and even welled up a little at all the adulation she got from the crowd. p.s. Given that Concertgebouw is a venue I usually associate with the dry, formal atmosphere of Western Classical performances, the warm and intimate air of this performance felt pleasantly out of place. p.p.s. I have no idea how I came across Mariza’s first album. I was already listening to Fado 10 years ago and buying CDs online. I suspect that it might’ve been a recommendation by Amazon. Anyway, a CD of hers went with me on long drive from Bangalore to Shimoga once. I had no idea what my friends made of the music, but they put up with it. I even remember one of them asking if I knew what “tristeza”, a word that came up a lot in the song Ó Gente Da Minha Terra, meant. (It means sadness, which I didn’t know then). 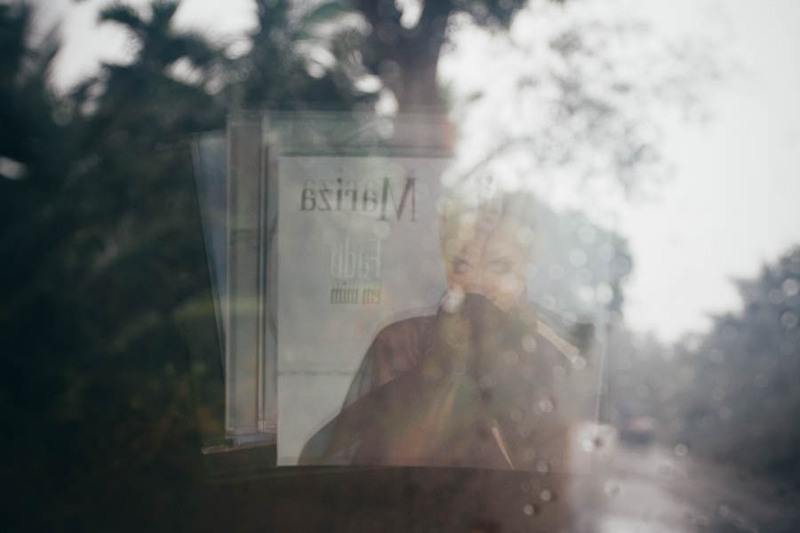 We had stopped along the way to ask for directions (or to let a particularly heavy spell of monsoon shower pass), and I caught a reflection of the CD lying on the dashboard in the windshield. Who knew, I would be attending a live concert of hers some 9 years from that day in Amsterdam? I am thanking myself of 9 years ago for having the good judgement to name at least the last folder correctly. p.p.p.p.s. It’ll be gravely remiss of me to leave you without Rosa Branca. Update (2018-12-28): Found another reference to the CD above in another old blog post from 2006. I’ve ported it over to this blog from archive.org. Up next Photoblog: Photo #75 - De Lezende Kip Global warming etc.